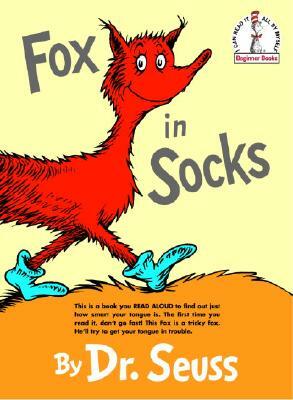 Dr. Seuss's Fox in Socks has been troubling tongues—and garnering giggles—since 1965. Written specifically to be read aloud, it features a tricky fox in socks and the progressively more difficult tongue-twisting games he plays on his exasperated friend Mr. Knox. Now available for the first time in an abridged, sturdy, board book edition, this beloved classic will have babies of all ages laughing with—and at—their parents as they struggle, like Knox, to blab such blibber blubber as muddle puddle tweetle poodle beetle noodle bottle paddle battle!